Entertain your guests while on vacation with a wine tasting led by a professional Sommelier. Choose a theme or create your own, Chris Peterman, Sommelier and Owner of Vine Culture, will curate a list of 8-10 wines and lead you and your guests on a journey through winemaking styles, wine regions, wine styles, and more. The possibilities are endless! While Maine has a plethora of dining out options, sometimes its worth having the experience come to you in your vacation home. 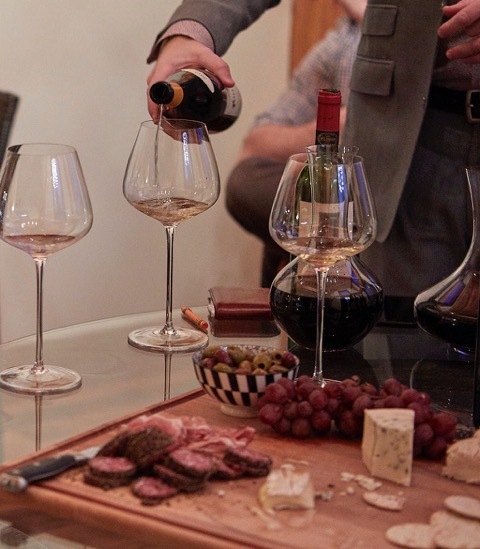 Whether it be a sampling of wine and cheese or a full dinner with beverage pairings, Vine Culture will come to you working side by side with Amy Kayne and her team at 2getherwecook to create a fabulous in home experience. Arrive at Your Vacation Home Stocked with the Essentials. Choose from a list of packages to stock up on craft beer from Maine, spirits, and/or the wine of your choosing. Have a special request? Let us know and we will do the best we can to track it down. Looking for a luxury vacation rental in Maine? Legacy Properties Sotheby’s International Realty is the place to start looking. At Vine Culture we love working with them to enhance their clients experience! Let them enhance your Maine vacation with a beautiful place to stay!